Where Are the Best Cars for Sale Near Me? At House of Cars Calgary! Finding a dealership close to you can offer you convenience and an easy way to see as many potential cars as you would like. When you search for “good cars for sale near me” you want to find a dealership that really is close to you. This is why we are proud to offer Eight locations across Calgary. 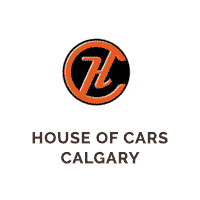 You can find your local House of Cars dealership in Barlow Trail, Macleod Trail, Chinook, McKnight, Horton Road, 17th Avenue, Airdrie and Medicine Hat. The teams at all of our locations have the same focus on quality and customer satisfaction. If you are looking for a quality certified used car be sure to give us a call today or search through our inventory using our simple online tool. As of 2016 there were 3,589,302 vehicles in all of Alberta and a huge number of these were found in Calgary, the largest city in Alberta. We clearly love our cars and need them to navigate the large city and surrounding neighbourhoods, especially during the winter months. This means that the market for used vehicles is a large and competitive one, making it difficult for you to find the absolute best used vehicle. House of Cars is here to help our customers find the best certified used vehicles at an affordable price point. If you ask yourself: “where are cars for sale near me?” it is also very important that you factor in the word “certified”. We have all heard the terrible stories of people buying used cars where a fault is only revealed after purchase when the driver breaks down. Buying a certified used car means that you can be confident it is a high-quality vehicle that has been cherry-picked for its enduring quality and great condition. At House of Cars our vehicles are CARPROOF. This report from a third party gives you all of the essential information about a used vehicle so that you have no nasty surprises in the future. Combined with our full mechanical fitness inspection you will know that your new vehicle will stand the test of time while keeping you and your family safe. When you are looking for cars near you, you’ll want to carefully consider the warranty options that are available. Without the appropriate warranty and guarantees you run the risk of investing in a used vehicle that could leave you in a tough position if it breaks down in the future. At House of Cars we offer comprehensive warranty to all of our customers. Our customers are our priority and this warranty helps to make them confident and happy with their purchase. Great warranty and certification coverage are important, but so is finding a car at an affordable price.